महिंद्रा एक्सयूवी500 डब्ल्यू7 एटी Comfort एंड Convenience "Voice Commands with Voice Recognition & SMS Read Out /n Mahindra BLUE SENSE App /n Fully Automatic Temperature Control (FATC) /n Cruise, audio, phone & voice commands on Steering /n Power Windows /n Remote Tailgate Opening /n One Touch Lane Change Indicator /n Conversation Mirror /n Mobile Charging Points /n lluminated Key Rings /n Entry Assist Lamp /n Flexi seat configuration के लिए convenient storage (60:40 foldable 2nd row, 50:50 3rd Row) /n Flat-foldable 2nd and 3rd row seats /n "
This is the best car. The driving is very smooth and comfortable. The looks are very stylish. Mahindra - The Indigenous Innovation. Nice car, excellent performance, low maintenance, no problems faced yet. It is the best option in this price range. it is a nice car with a stylish royal look and it is my favorite car, the interior of this car is very nice I think this car is better for royal persons. 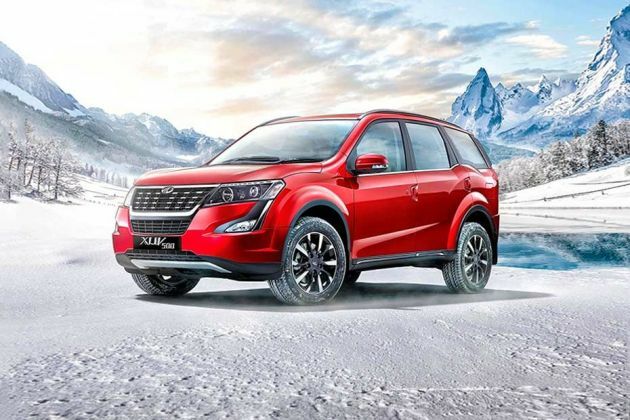 XUV 500 is my dream car, the engine is powerful, the body looks beautiful, interior very nice, totally superb performance.